Both will be posted on the website soon along with related training topics. When a specialty is declared, there is a minimum training hour requirement for each NACP level which must be met in order for the advocate to declare the specialty area. Please see the required training topics and hours for all specialty areas under the training tab. We are now on Facebook! Click here to go over and check us out! 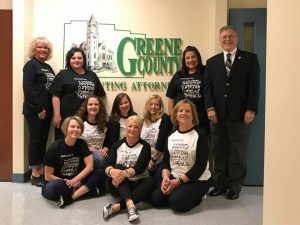 Greene County, OH (Prosecutor’s Office) advocates wear their Advocacy Is… T-shirts with pride! 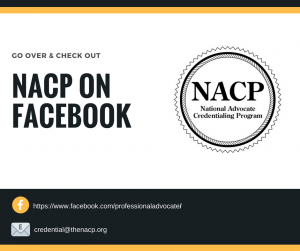 All are NACP Credentialed advocates. Greene County Prosecutor Stephen Haller supports credentialing and continuing education for his professional advocates. 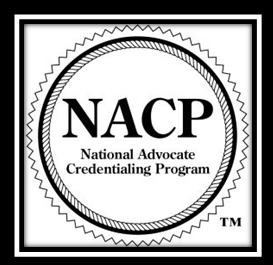 As the first voluntary credentialing program available to crime victim advocates nationwide, NACP is uniquely positioned to create new standards and professional recognition for campus victim advocates. The new NACP credential specialty – Campus Advocacy Specialist – encourages campus advocates to seek specialized training and commit to NACP’s recognized standards for ethical and professional conduct. As of August 2016, campus advocates may apply to NACP to become a Credentialed Advocate (CA) and choose the Campus Advocacy Specialty. In addition to training many campus advocates receive on Title IX, Campus Sexual Assault, Prevention and other topics, NOVA now offers a 20-hour specialized training program for campus advocates called NOVA Campus Advocacy Training (NCAT). The first group of graduates completed the 20-hour specialty course in February of 2017.